9th annual Chef Meets BC Grape wine tasting at Canada Place on June 5, 2013. Published in Vancouver Is Awesome. 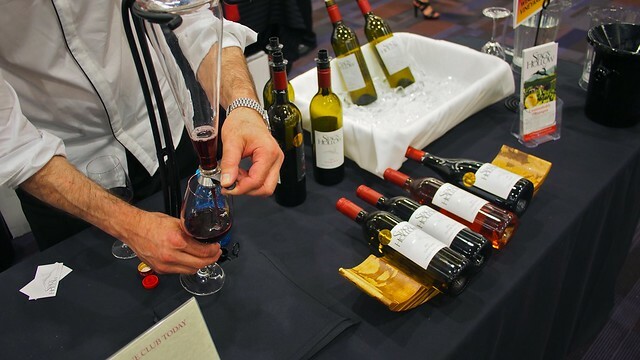 The BC Wine Institute teamed up with The Arts Club for their annual Chef Meets BC Grape fundraiser. 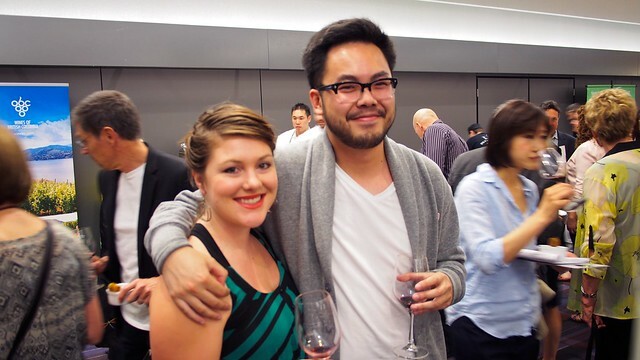 I joined winos and art lovers like Kelly Jean Marion (above) for some grape fun. 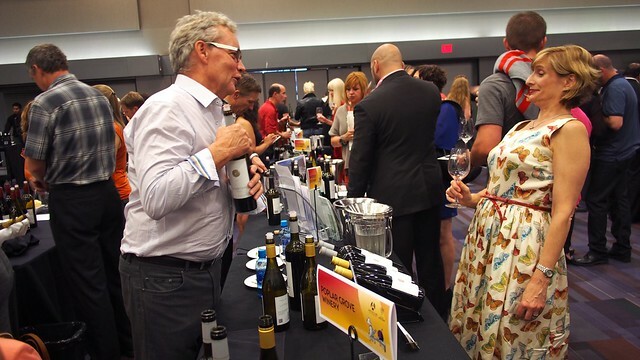 The night was not only for promoting the theatrical arts, but also the 95 local wineries and over 350 wines showcased and all packed into Canada Place. 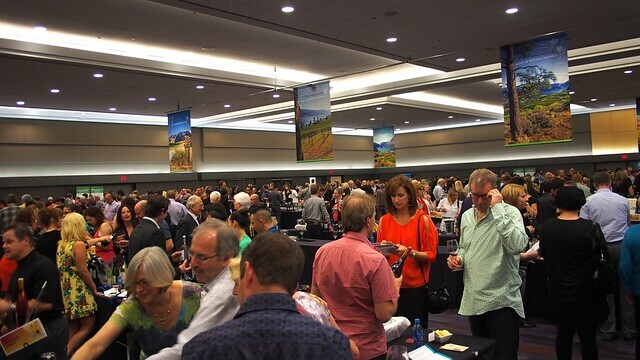 It was overwhelming walking onto the trade show floor with hundreds of different wines and wineries on hand (like Stag's Hollow, above). 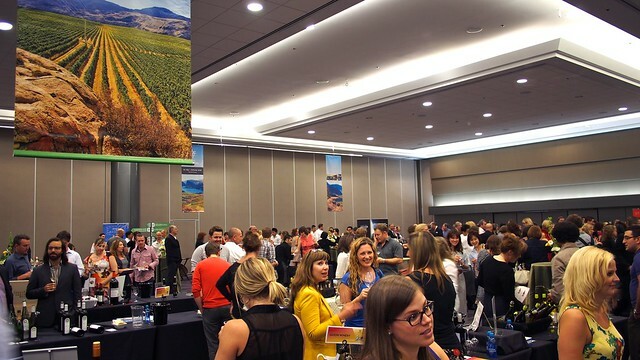 Patrons and drinkers perused and sampled different vintages (Poplar Grove Winery, above) paired with dishes from some of the city's finest bistros. 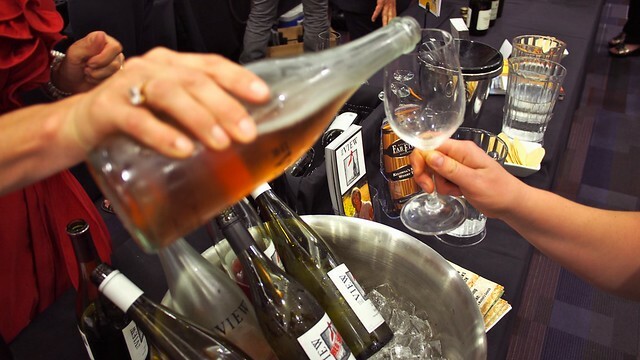 The festivities were a tribute to the top tier of BC VQA approved wines and the finest foods produced in the province. You can't beat the diversity and the sheer volume of wineries (The View Winery, above) from all over British Columbia, especially many new wines yet to be released.